The best place to get Korean food is my mom's kitchen. That's not helpful 'cause it's not open to the public. However fear not, for Korean food selections are abundant in mini-Seoul, aka - LA's Koreatown. (For everyone else not in Seoul or LA, good luck. I mean this genuinely). 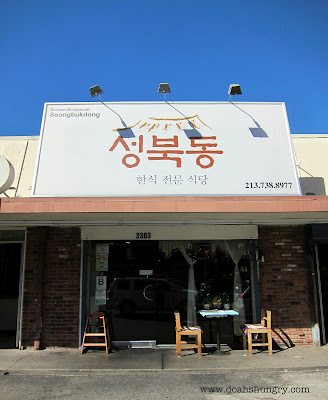 The trouble is not finding a Korean restaurant in Koreatown, but finding the one that best suits your cravings. One restaurant may specialize in BBQ, while the other may specialize in dong chee mi gook soo (cold noodle dish in radish kimchi soup), dak kal gook soo (chicken noodle soup), sul lung tang (oxtail soup), or naeng myun (buckwheat noodles in iced beef broth). Once in awhile, there is that one place that seems to do a good job on everything, especially comfort food: Enter Seongbuk-dong. The menu is extensive and can be somewhat overwhelming, but you can't really go wrong with any of the popular Korean dishes. Although the servers speak (broken) English, it always helps to go with someone who speaks Korean. Lastly, the place is practically a hole-in-the-wall. With only about 7 tables in the entire restaurant, expect a wait during high peak dining or late-night hours (no reservations). The braised mackerel is a hit or miss. Some people love it, but others who are not a fan of salty foods (moi), will find it less delicious. Be sure to squeeze some lemon juice before digging in. Not pictured: Galbi JJim. The braised short ribs meat falls off the bone with the slightest tug. Succulent, tender, and juicy, the flavors marinating with the beef do a dance that justifies ever rave review out there. You will not be disappointed. 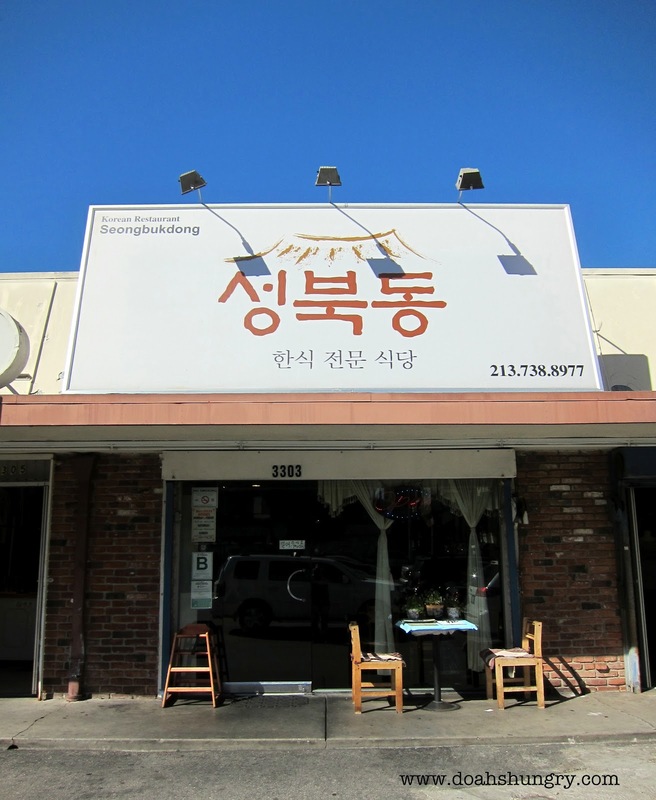 After all, it made J Gold's "60 Korean Dishes Every Angeleno Should Know" list. Hope you enjoy the Seoul-food!